In Case You've Been Wondering THIS is The REAL Meaning Behind The Legendary "Purple Rain"! 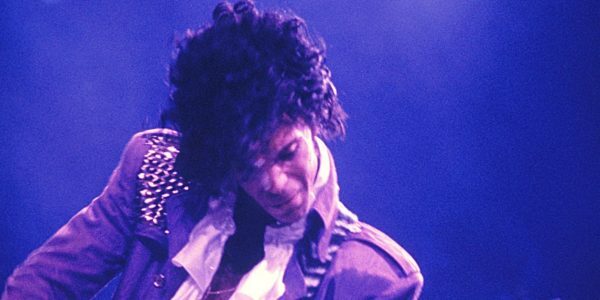 In Case You’ve Been Wondering THIS is The REAL Meaning Behind The Legendary “Purple Rain”! On 21st of April a Legend passed away. Prince was famous for his controversial looks and sexuality. He was one of the few GREAT musicians coming from the era when one needed to be a true rebel to be who they really are. One of the best songs he ever sang was Prince’s Hymn “Purple Rain” and the lyrics of this song confused a lot of people as it is really unclear what he is singing about. The song was created for the same-titled movie. If you haven’t seen the movie, you need to see it, it’s amazing. In the movie it explains this song. The song was originally written about his father who used to beat him till he thought he’d turn straight, it never worked, his father ended up giving up on the idea. He only wanted to see his father happy, he never meant to cause him any pain by being who he knew he was. However, the phrase “Purple Rain” was later explained that has an even deeper meaning. Purple rain; A restless feeling. A non-descriptive feeling of boredom, restlessness and confinement. A feeling one has when wanting to escape from responsibility (chiefly emotional) by traveling. Sometimes synonymous with ‘wanderlust.’ The desire to travel in order to escape an emotional commitment. To make it very simple think of the term Purple Rain as a need or want to be free from a place, responsibility, or an emotion. Do you know that moment of calmness in the midst of all the drama, pain and sorrow? That moment of freedom.. elevation, like you are standing in the eye of the storm. That’s a moment of clarity where you realize that all the drama is not really important. It’s too small on the grand scheme of things. It’s something humans waste their time with instead of loving each other, while having no idea where they are in an ever expanding Universe. And all that you care about is to see your loved ones smile in the midst of this chaos. You realize that’s all you ever wanted, before you got lost in the labyrinth of your psyche. Sometimes we hurt others unintentionally, or better said, they hurt from us by who we really are. It’s because of the egoistic illusion others get blinded by. And all we want and ever wanted is to see them smile, to see them happy. We get lost in the society’s rules. We work and follow money, we fake who we are just to fit in, we want to be leaders… but while we chase all of this the real life we have is slowly fading away. So, instead of overthinking things, maybe it is best to close our mind and feel. To escape..
That’s what we all really want! We all want to be free! Completely free! And we all struggle between this urge of wanting to detach from everything and escape into the vast unknown, and chasing glory, power and fame, stretched between loving each other and hurting each other. But what we really want, under this purple rain, is to see each other happy, to see each other smile.